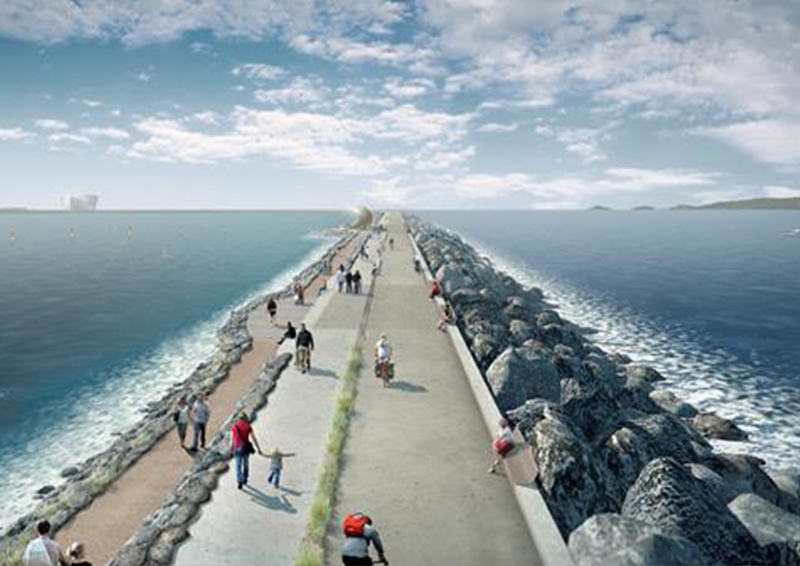 Swansea Bay Tidal Lagoon is a 320MW tidal power station situated in Swansea Bay. It encloses an area of 11.5km2 and has a breakwater impoundment some 9.5km long that varies in height up to a maximum of 21m from sea bed level. The turbine house is c400m long and c70m wide and c26m high and houses 16 turbines (wc18m long and 7m in diameter) and 8 sluice gates. This is maritime engineering on a massive scale and the planning and design of the scheme has been progressed over the last two years to the point at which a preferred Contractor has been appointed on a design and build basis. To develop tidal lagoons as a viable renewable energy technology has required improvements in energy output combined with innovative construction to reduce the capital cost. A brief explanation of the power technology will be provided and in particular why the power output of these lagoons is much better than for tidal barrages. The talk will then focus on the design and construction planning of the 9.5km breakwater and the how the capital cost has been minimised by using a sand core design and the challenges associated with this.